James Wadhams Stuckert is a native of Louisville, Kentucky. After graduating from St. Xavier High School in 1955, he enrolled at the University of Kentucky where he earned a Bachelor of Science degree in Mechanical Engineering in 1960. As an undergraduate he was vice president of the American Society of Mechanical Engineers; a member of the Engineering Student Council; Pi Tau Sigma, mechanical engineering honor society; Omicron Delta Kappa, national leadership honor society; and served two terms as president of Kappa Sigma fraternity. He was the business manager for the Kentucky Engineer magazine and the College of Engineering’s student government representative. After earning his B.S.M.E. degree, he immediately enrolled in graduate school, earning a Master of Business Administration degree from UK in 1961. Mr. Stuckert’s first employment after graduation was as a sales engineer with Cummins Engine Company, Columbus, Indiana. In December 1962, he began his successful career in the securities field, particularly equity trading, with W.L. Lyons and Company, Louisville, Kentucky. He became a partner of the merged J.J.B. Hilliard-W.L. Lyons & Company in December 1968. At the time of its incorporation in 1972, he became a member of the board of directors of Hilliard Lyons, Inc. and has served in that capacity until January 1, 2004. 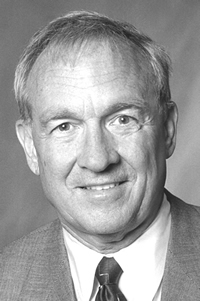 Mr. Stuckert was elected chairman and chief executive officer of Hilliard Lyons, Inc. in 1995, a position from which he retired on January 1, 2004. Hilliard Lyons is a full-service investment firm with more than 3000 total employees of which 700 are financial consultants, at 120 branches in 16 states. The firm has floors on the New York and American Stock Exchanges and is a member of the Chicago Stock Exchange. Hilliard Lyons, Inc. was acquired by PNC Bank Corp, Pittsburgh, Pennsylvania in December 1998. The firm retained its name, employees and headquarters in Louisville, Kentucky. This acquisition has positioned the broker-dealer among the larger entities in the financial services industry. His affinity for and commitment to the University of Kentucky are well documented in his work over the years with the UK Alumni Association and in the area of development. Early in his career, he worked with the UK Alumni Association to re-establish the Jefferson County Alumni Club. He has twice served as the Club’s president and for the past 25 years has served as a member of its Steering Committee. In 1996 he was presented the Club’s All American Award for his many contributions. In 1976, Mr. Stuckert served as president of the UK Alumni Association. He remains a member of its board of directors. In 1980 he received the Association’s Distinguished Service Award for Exceptional Service. He is the current chairman of the University of Kentucky Development Council and is national chairperson of the University’s $1 billion comprehensive fund-raising campaign, the first-ever undertaken by the University. Previously, he headed the Corporate and Foundation Committee in the William T. Young Library campaign. Mr. Stuckert is equally well known for his philanthropic activities on behalf of the University. He is a member of the UK Fellows Society at the Presidential level. He is also a Blue and White Fund Fellow, Library Fellow and an Alumni Association Fellow. To honor his philanthropic endeavors, the UK Career Center was named the ” James W. Stuckert Career Center” in October 2000. He is also a benefactor of the Louisville Deaf Oral School. Among the honors he has received is induction into the UK Hall of Distinguished Alumni in 2000. He was inducted into the UK Carol Martin Gatton College of Business and Economics Hall of Fame in 1997. Mr. Stuckert is married to the former Diane Vittitow (BA ’61). They are the parents of three children, Stephen, Susan and Scott. The couple lives in Prospect, Kentucky.